Make every day feel like summer with the Tropical Palm Duvet Cover Set. 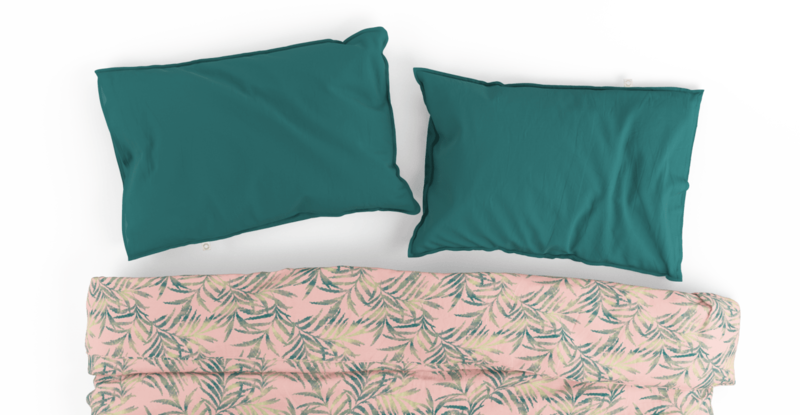 This beautiful beachy print will give your room a laid back holiday vibe. 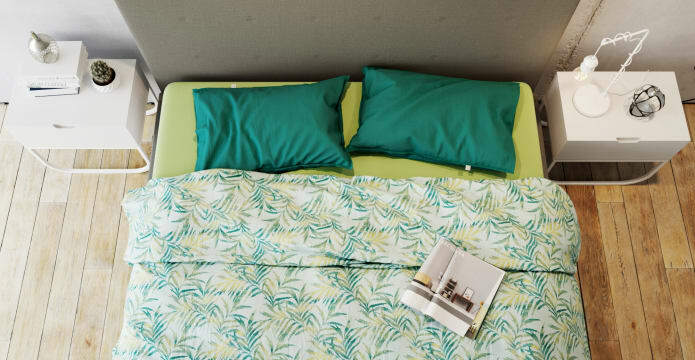 Finish the look by styling it with more linen from our Bedding Collection. This duvet was crafted from 100% cotton. Natural and breathable. Cotton keeps you warm in winter and cool in summer. So you will sleep soundly every night of the year. 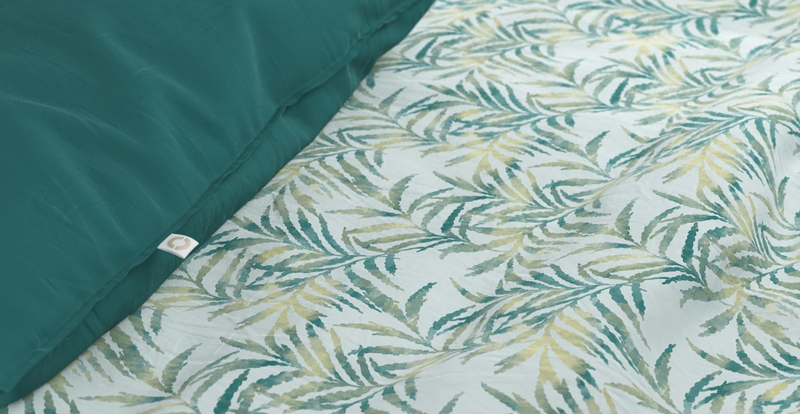 The Tropical Palm Duvet comes in fresh shades of Apricot, Lemongrass and Baby Blue. There are three sizes to choose from. 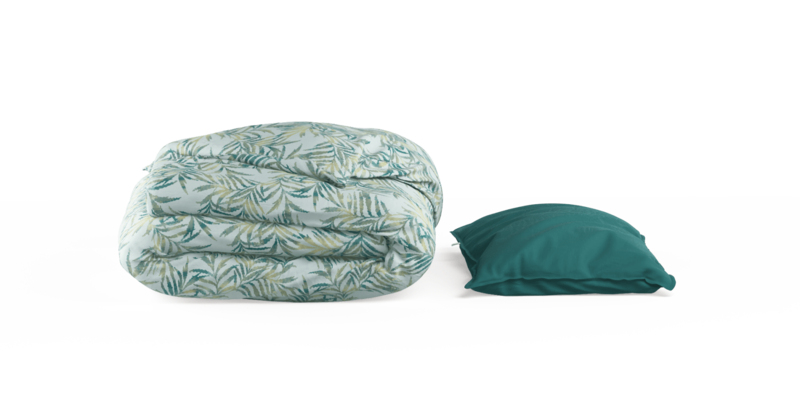 Find the right bed base to match and complete the look. We chose a premium 400 thread count for this duvet, to get the balance between thickness and softness just right. The high quality fibres grow softer with every wash. Always received a good service from brosa.